On a long car trip, I edited a blog for my 20-something daughter titled I am SINGLE. I am not BROKEN. Her words made my eyes burn and her thoughts sparked much conversation between her dad, her single younger sister, and me. We explored further all the things she DIDN’T put into writing. Once she posted the article, she heard from countless other single friends weighing in. “This is THE best article I’ve ever read on this subject,” one said. Others thanked her for putting into words what they couldn’t. Between our discussion, her cutting floor, and the comments of her friends, I realized there was an entirely different — yet related — post to be written. 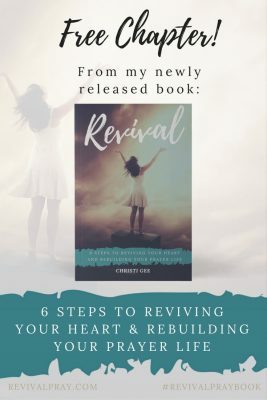 This young woman of God — who normally craves mentorship, seeks godly wisdom, and preaches to herself regularly — admitted that advice from those who are married is usually NOT helpful. “It might be true, but I have trouble receiving it well from anyone who isn’t single,” she said. “So what DOES help?” I asked. Together, we came up with a few things to share. But first, here’s a primer on what doesn’t work from the perspective of my single daughter who is out on her own and working to reign in her competing feelings. 1-Don’t minimize the struggle with waiting. Can it be interpreted as, “This is a lot”? Could it be translated as, “This isn’t much”? >>>It probably shouldn’t be said. 2-Don’t offer pity and don’t try to fix it. My daughter’s post describes stories of others trying to “fix” her condition. Like it’s a disease that must be cured. There’s a fine line between empathy (highly encouraged) and pity. When in doubt, choose to listen instead of speak and you’ll likely be safely within the empathy zone. 3-Don’t try to explain it. God’s still working on all of us. That’s not the issue. 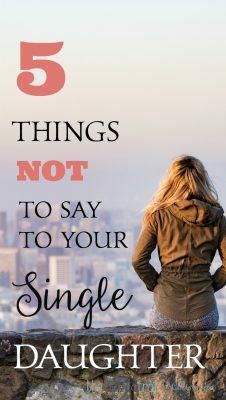 People who offer these well-intentioned words are operating from a flawed mindset that is likely related to number two: that singleness is a condition that must be fixed. And if you can’t fix it, then you must explain it. The truth is singleness is a stage of life, just like childhood, the prime of youth, old age, and yes, marriage. Just as we wouldn’t try to explain to a child why they’re not an adult or counsel a dying person on why they aren’t still vibrant, so we don’t need to offer explanations to a single person on why God currently has them single. His ways are not our ways. His timing and plan is different for each individual. Our human nature defaults to a win-lose mentality. For one thing to be good, all the other options must be bad — or at least — lesser. It’s not helpful for a married person to speak wistfully of their single days, upselling singleness at the expense of marriage. My single daughter holds marriage in high esteem, and cutting it down in front of her is like sandpaper to her tender spirit. She watches those who are making a go of their union and takes mental notes. She wants to know how good it can be and great marriages inspire her. Although related to number four, this is a more personal exhortation. It might sound like this, “Enjoy where God has you.” Under normal circumstances, this advice can inspire a person to consider their season of life. However, because this is often offered from a perspective oriented in numbers 1-3, it’s not inspiring. In fact, it can be demeaning. “I don’t need you to tell me to enjoy it. but I can still want to be in a relationship. 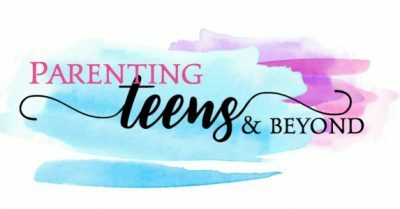 My daughter said, “Advice based on truth is the advice I need — whether I want it or not.” In fact, she ends her blog post by giving advice to other singles. I hope you’ll click through to read her post and see an example of what this sounds like. Scripture and truth-based thought processes can help your child reframe their view and filter the thoughts and feelings that are causing them to struggle. Before Pinterest changed its algorithm — when I could see everything my daughter was pinning — I knew when she was preaching to herself when her Reality Check board was filling with new pins. Check out her board. Some of her collection might be applicable to pass along. Be aware, however. Truth based on Scripture may take time to be absorbed. It may not immediately seem to affect her perspective, but speaking truth is never a wrong approach. Just make sure it’s truth you can back up with Scripture, not a well-meaning cliché. Know when to listen and know when to speak. And when you choose to speak, err on the side of compassion. 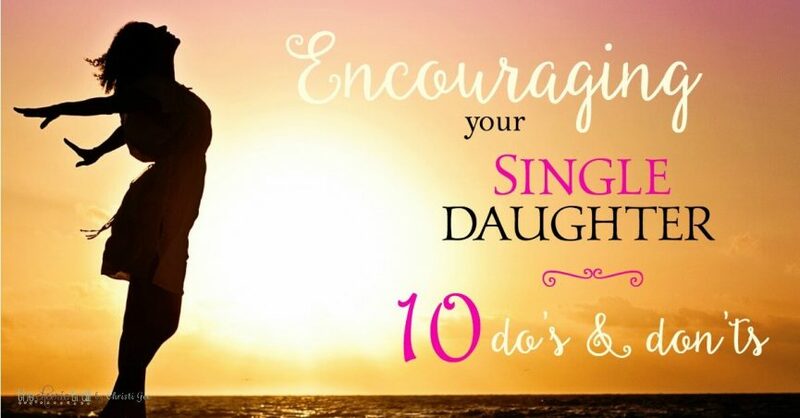 Affirm the difficulty of the struggle and that your daughter isn’t crazy for struggling. You can hurt for her and hurt with her. This is different from pity. Pity is based on the status of being single. Empathy is based on the state of her emotions. Express that your heart aches because her heart aches, not because she is still single. Remember that once you choose to speak, you naturally stop listening. Most people can’t form a thought to say while still absorbing what is being said. Be careful to listen and guard against the list above, but do speak when the time is right. My friend Jennifer wrote a terrific post: 12 prayers for Singles (Praying the Scriptures). If you’re reading this, you’re looking for insight and help on how to respond. There is nothing more powerful than prayer and praying the Scriptures is a double whammy. It’s worded from the viewpoint of the single, so it would be a beautiful article to pass along to them. Because my daughter doesn’t have a husband to bounce ideas off of, she still seeks the advice of her dad and me. We help her think through all the angles of new opportunities, give her a second opinion on financial decisions, and sometimes simply offer a dose of enthusiasm at the new thing God is doing. We affirm her strengths and counsel her weaknesses. My daughter’s personality is one that reaches out for this kind of support, so it’s easy to give. However, if your loved one is more introverted, you may need to seek ways to become involved so you can offer them this support. “Find a ministry. Get involved. Pursue a dream. Set a goal. Learn something new. Take a risk. you spend less time dwelling and more time doing. I love that she is giving this advice to others. If your child isn’t hearing it from someone else, maybe they need to hear it from you. Only not like you think. When I started working in the Marketing department at Liberty University, I was surrounded by vibrant, accomplished, godly 20-somethings who were still single. I began sharing some of their stories they shared publicly with my daughter. They resonated and she even became friends with some of them. One of those young women reached out to my daughter after she published her post and those words of encouragement were deeply meaningful. I’ve also passed along stories to my daughter of my own friends who married late in life or my friends have shared their journeys directly. People who have walked this road know how to speak to each other. It’s a unique sisterhood. So, if you know others who have a story or are walking the same road, consider that this “matchmaking” might be a connection worth setting up. 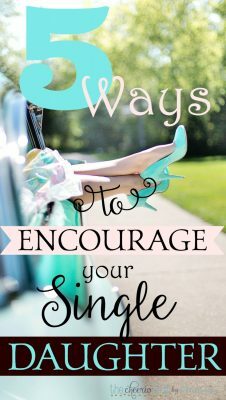 This struggle with singleness is unlike most trials you might try to encourage someone through. The emotions are raw and the intensity rises and falls and can change without warning. The messages your single daughter battles threaten to erode her very identity. The enemy knows this and he is adept at twisting the knife. Does anyone with a daughter in this situation have scripture or practical words of wisdom when discussing how this “season” may never end? My daughter is out on her own at 22 and loving it, for now, but she’s wise enough to consider that her entire life may be lived alone. And she really doesn’t want that. What can we say is “good” about being cut off forever from the joys of marriage and children? What solace is there in a lonely domestic life, with a lifetime of being alone stretching out in front of a young woman who actually has a lot to offer, although Christian men don’t seem to care. We all know that friends and missions really aren’t enough for someone who longs for marriage. I think this is great, apart from you saying that this is just a season. For some people it may not be just a season. 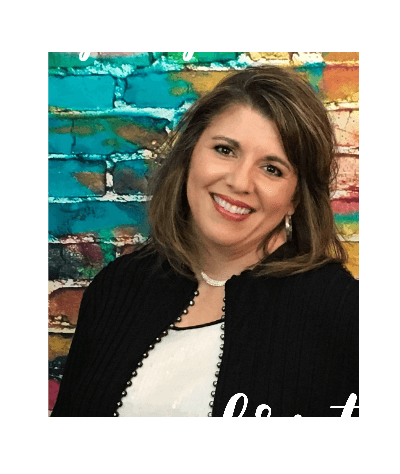 What a great word, Christi! Love all of these practical suggestions too! You are blessed with two amazing daughters!